One of the most embattled celebrity mothers in the U.S. pop culture landscape, first-time author Nelson has suffered repeated insults and accusations from son and rap star Eminem, aka Marshall Mathers, who paints her as a negligent (if not malignant) mother and drug abuser. In this memoir, Nelson tells her side of the story, coming clean with a detailed but defensive account of their complicated mother-son relationship. 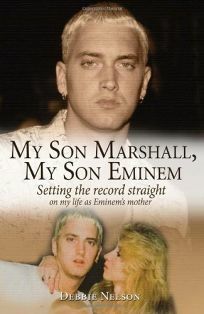 Beginning with her turbulent marriage to Mathers' father, Bruce, through her 2000 attempt to sue Marshall for defamation (she claims it was just a way to save her home from foreclosure) and their present estrangement, Nelson insists throughout that her only concern is for sons Marshall and Nathan; readers-especially the Eminem fans likely to fill her audience-may think she protests too much. Still, it's easy to believe the theatrical rapper exaggerates, and Nelson's insight-especially into Marshall's relationships with wife Kim and daughter Hailie-attest to an ongoing connection that he and/or the media may have obscured or denied. Though readers may find it hard to reconcile Debbie's claim never to have exploited her son in the pages of a tell-all about him (complete with baby pictures), Nelson's urgent voice sketches a tense but sympathetic portrait of the elusive, mercurial MC.